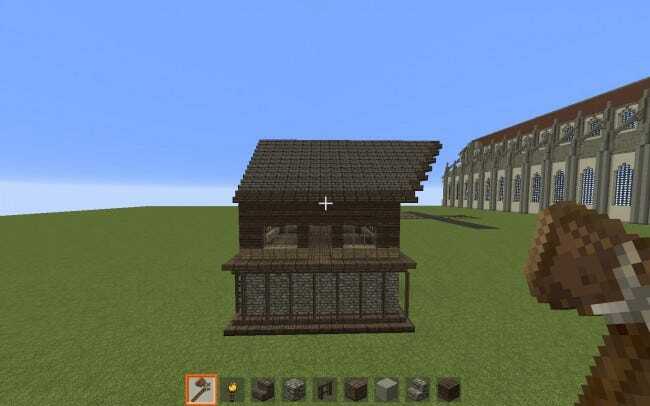 Minecraft is a game all about blocks, and the beauty of it is that you can build anything your heart desires. 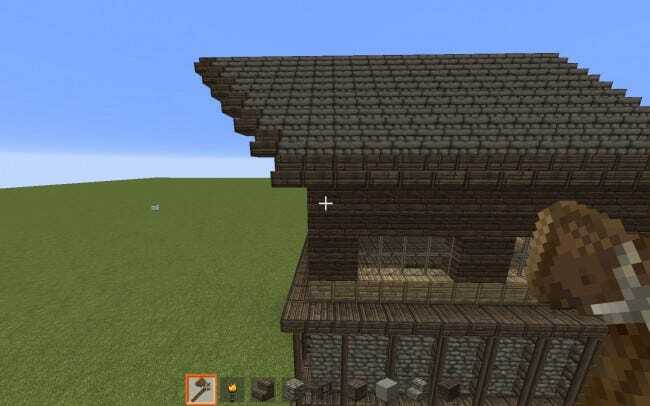 Building in Minecraft is like building with digital Legos, but, like Legos, building takes a long time and is often tedious and repetitive for anything more than a few blocks on each side. 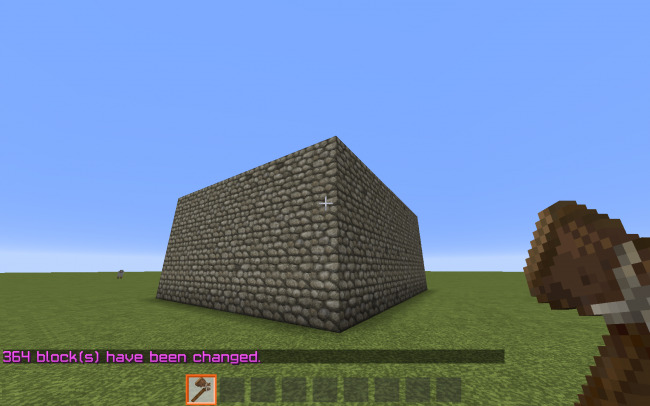 WorldEdit is a plugin that makes the repetitive tasks like filling in walls and replacing blocks easier. 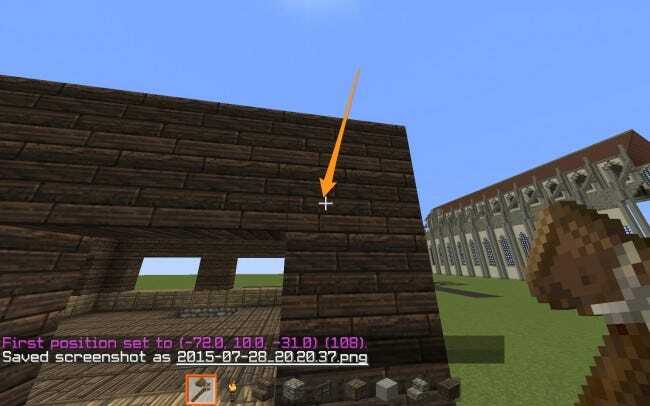 WorldEdit is primarily used as a server plugin, but it does have it’s own singleplayer mod. 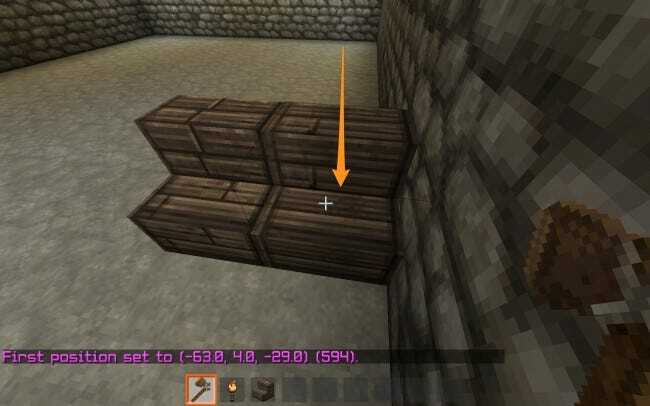 If you want to be careful about not installing mods, you can set up a Spigot server and download the WorldEdit plugin. However, if you don’t want to set up a server, you can download and run the Forge Installer for 1.8. 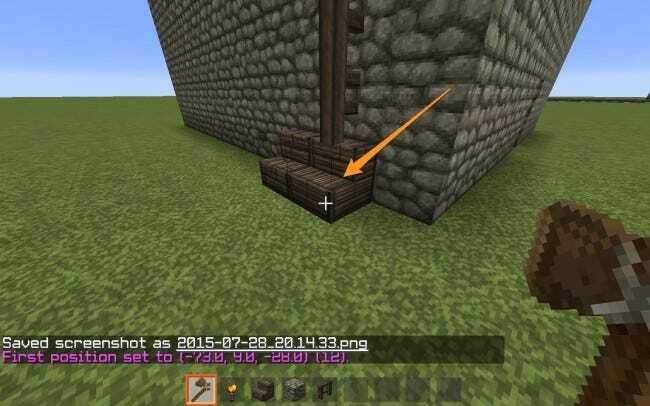 Forge is a mod API that makes installing mods as easy as dragging and dropping. It is not available for 1.8.1 or any later releases, just 1.8, but since newer versions of 1.8 are primarily bug fixes and do not contain any major new features it’s okay to downgrade. 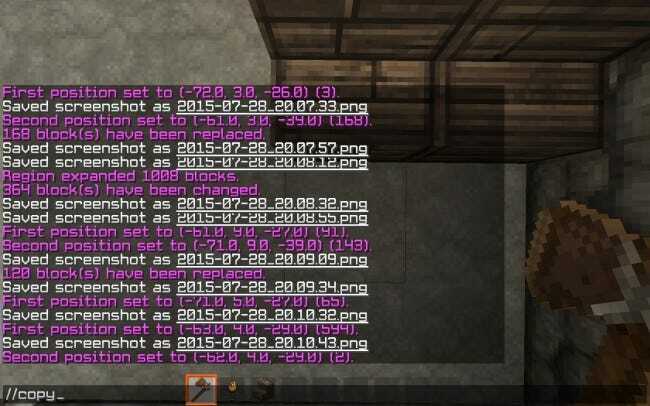 Just select ‘release 1.8’ in the ‘Edit Profile’ section of the Minecraft launcher. 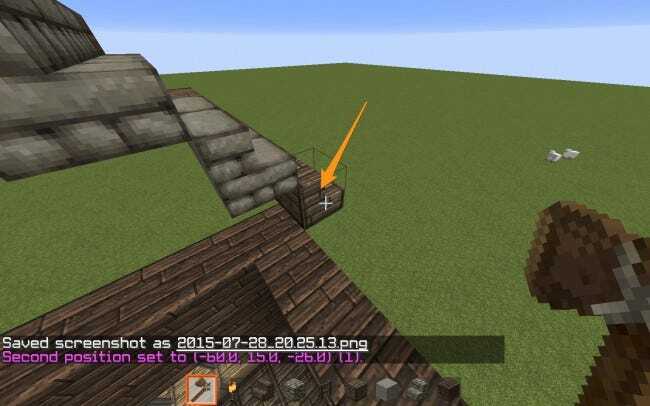 The Forge installer writes a few files to your Minecraft folder and makes a new profile in the Minecraft launcher called ‘Forge’. 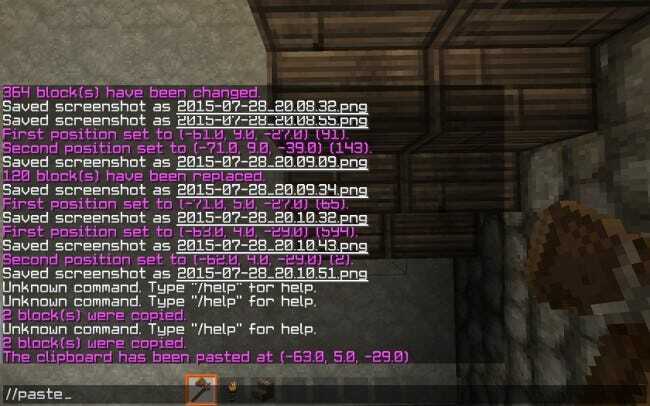 Once you have Forge installed, download Liteloader for 1.8. Liteloader is like Forge, and can be installed on top of it. Make sure to select the ‘Forge’ profile to extend from in the Liteloader installer. 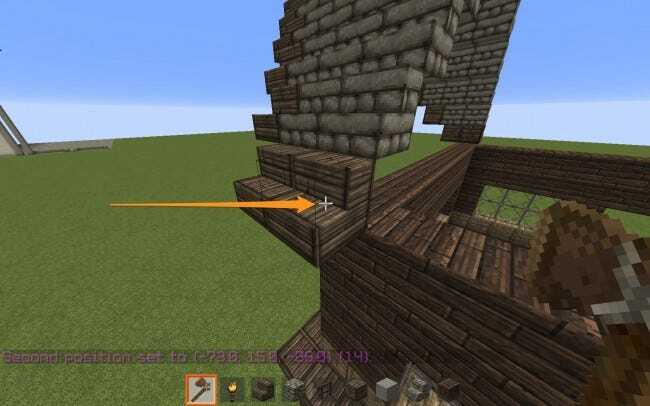 Once both of those have installed, open Minecraft, select the Liteloader with Forge profile, and wait for the title screen. The game is setting things up the first time it runs. 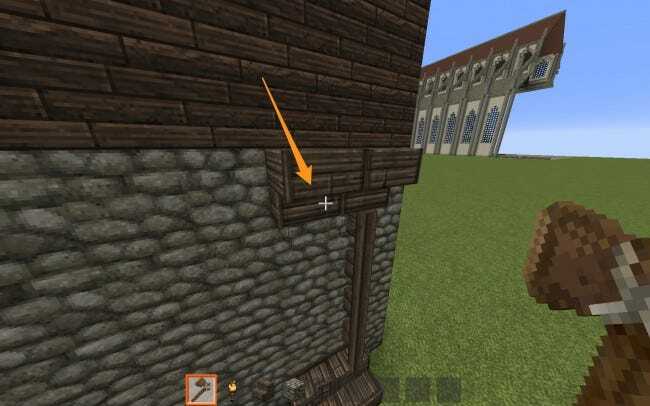 Close out of it after it loads and open your Minecraft folder in Windows Explorer or Finder. You can get to it on Windows by searching for %appdata% from the Windows menu; a folder called ‘Roaming’ should pop up and the .minecraft folder is in there. On Mac you can hold down Command while in the Finder “Go” menu and click Library, then Application support. One is a litemod and one is a jar, both go in the “mods” folder. 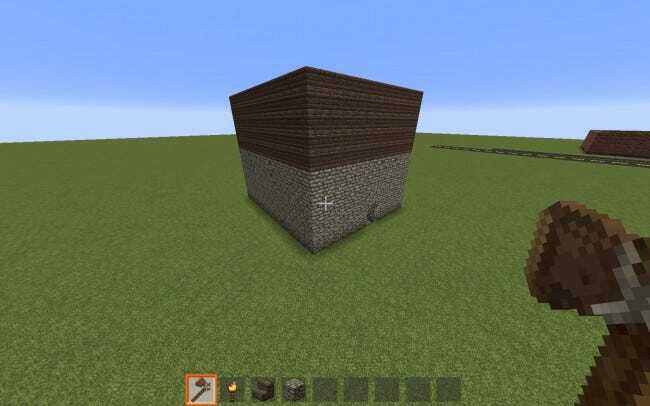 When you start Minecraft back up, WorldEdit should be installed. 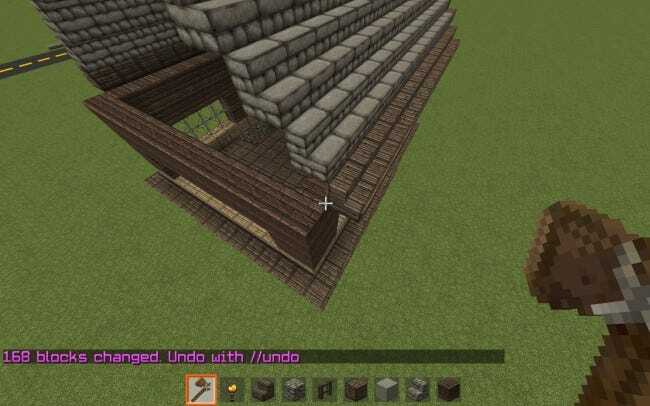 We recommend the Forge/Liteloader option if you only plan on using it yourself, because it doesn’t require you to run a separate server, plus you can install the WorldEdit CUI mod, which makes it easy to see what you have selected. If you do decide to go the server route and set up Spigot, installing Liteloader and WorldEdit CUI is still extremely beneficial. 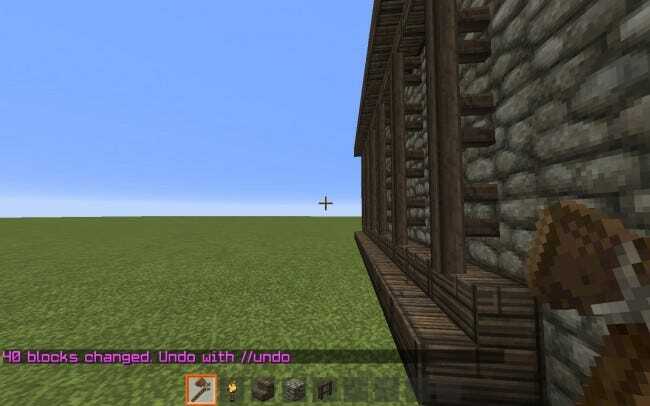 Once you have your WorldEdit up and running, find a relatively flat place to build, just to make sure none of the terrain gets in the way. For this tutorial we will be using a super-flat world. Which will expand your selection 6 blocks up. If you want a different direction, you can use ‘d’ instead of ‘u’ for down, and ‘n’, ‘s’, ‘e’, and ‘w’ for each of the cardinal directions. 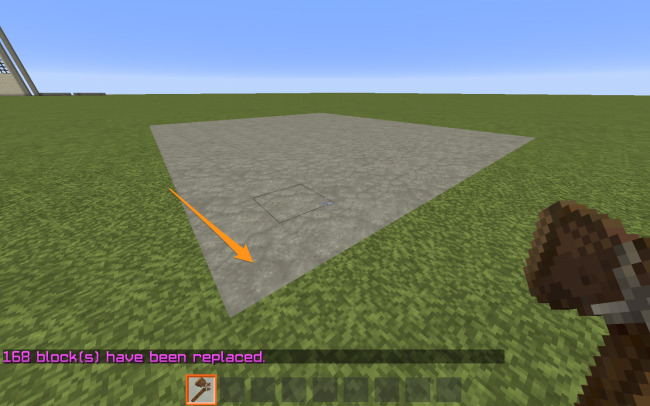 Additionally, if you leave the direction blank, WorldEdit will fill it in with whatever direction you are facing. 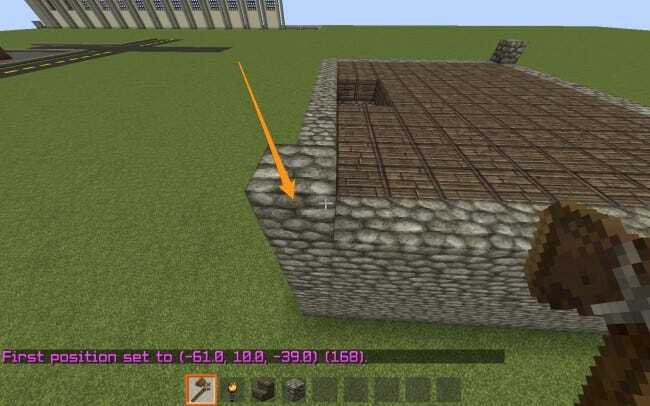 You can replace cobble with whatever block you want, just make sure to use the block ID. 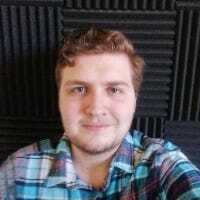 A list of all the block IDs can be found at the Minecraft Wiki. Which replaces only air with wood. 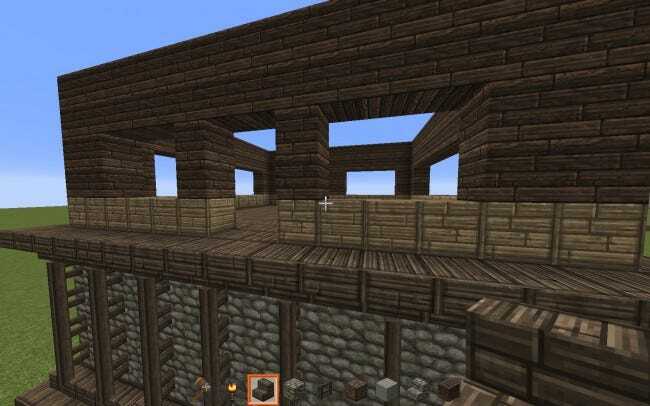 Now you have a floor, walls and a roof, but it’s still a little boxy, inside and out. 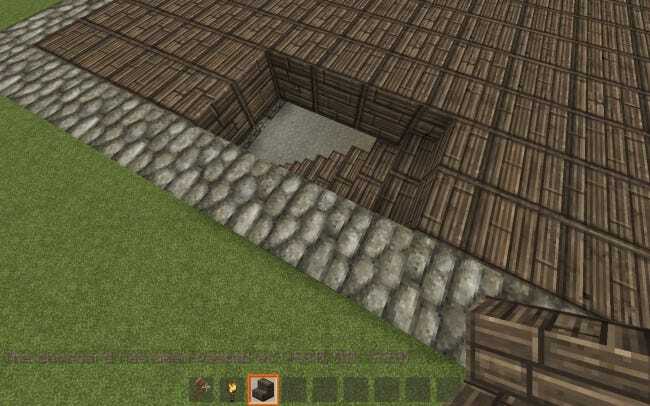 What if you want to build a second floor? 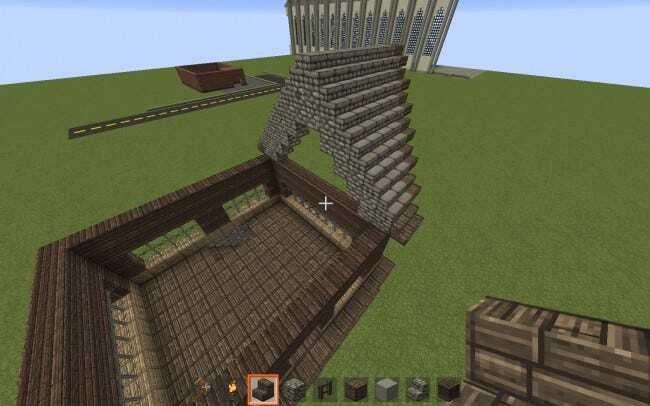 You would start by building a staircase. Now you have two sets of stairs! 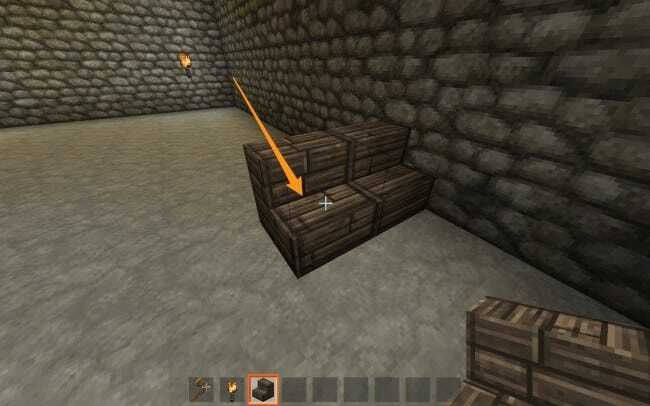 The new set is one block higher and one block forward, because you were one block higher and one block forward from where you copied the stairs. Copying and pasting is relative, and position dependent. 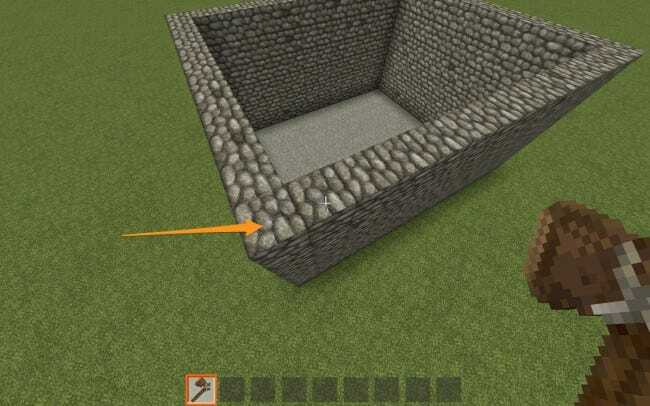 To build the walls. Notice the colon and number after the ‘wood’? 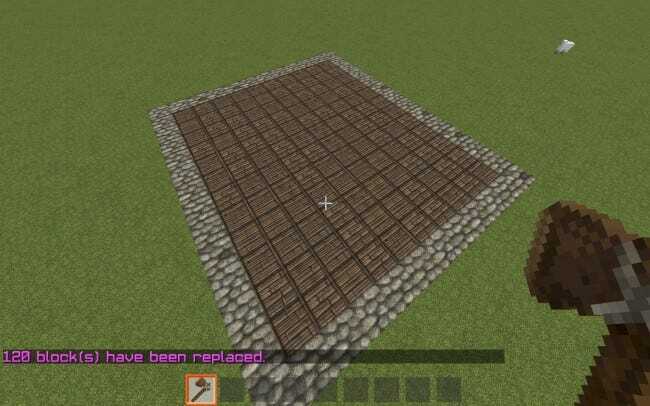 That designates a different type of wood, so that the floor is different from the walls. This command takes whatever is in your clipboard, and makes copies of it, back to back, in whatever direction you want. 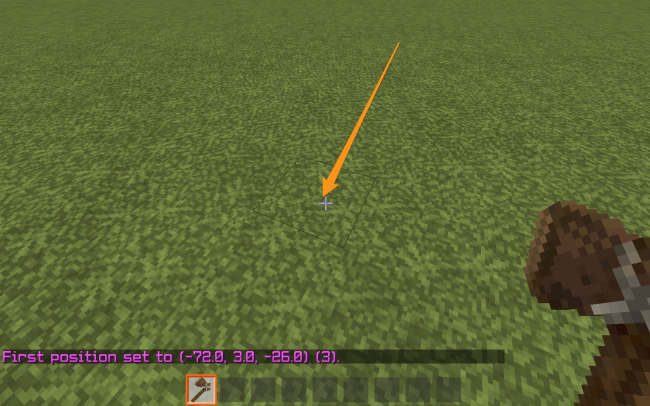 You can specify a direction just like in the expand command. Which gives you a different color of wood. 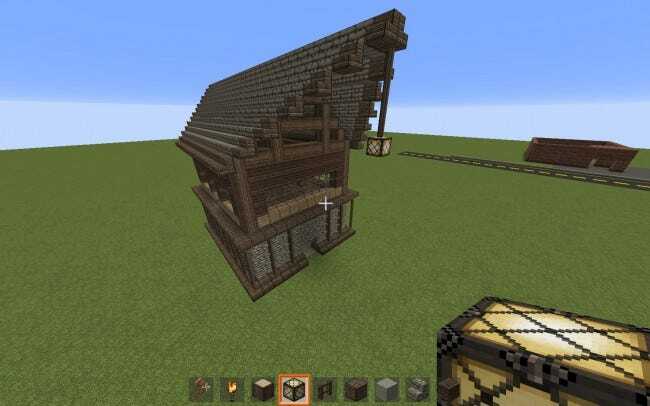 This was built by hand, but you don’t have to build the rest by hand. to clear any mistakes you may have made. The roof hangs over on one side, but the other is still unbuilt. 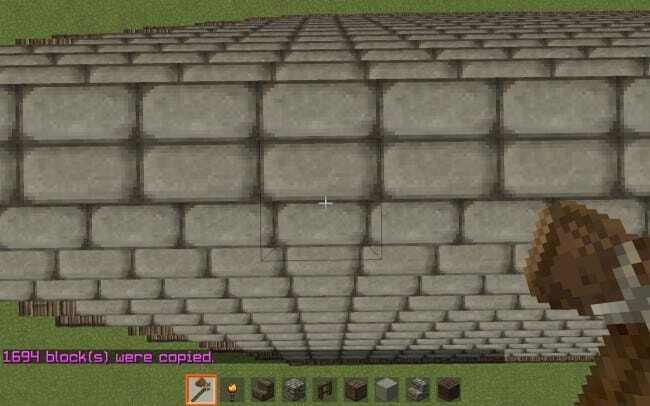 It’s easiest to copy it over with WorldEdit. Start by lining yourself up with the wall of the house. This is important, because if you’re one block off, it may copy strangely. to copy it to the clipboard. You will probably get the positioning of it wrong on the first try. If you didn’t, great! If you did, you will have to //undo and //paste in different places to get it right. Remember, copying and pasting is relative to where you are standing when you copy and paste. After a few accents and touch-ups, the house is finished! It will probably take a while on the first try, but as you get used to it, you will get quicker and better at it. 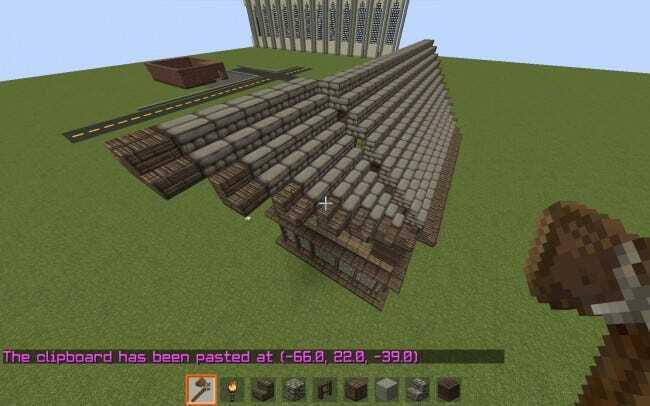 A build like this takes around 10 minutes in WorldEdit, compared to over half an hour on regular creative mode. 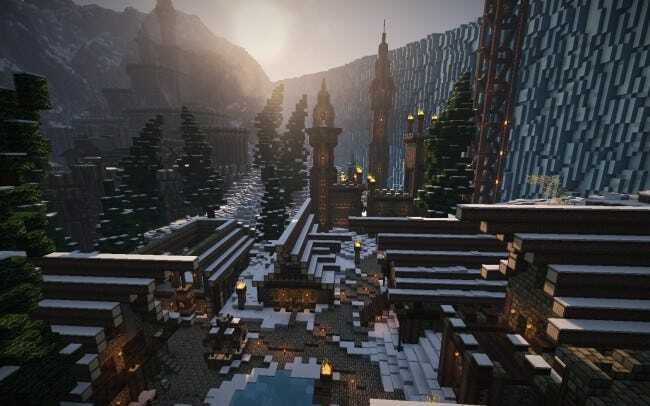 Some things, like terraforming and generating massive structures, are nearly impossible in vanilla Minecraft.